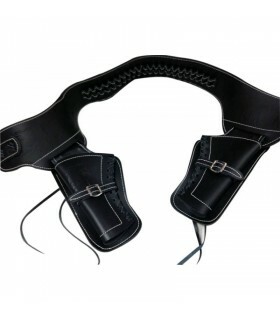 Cartridge Belts There are 17 products. 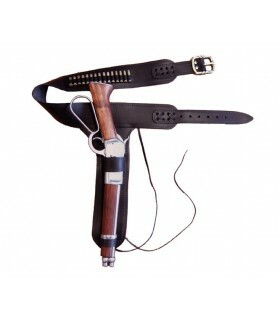 Cartridge belt in black leather with metal buckle for a revolver with 24 bullets. This fine reproduction of western holster decorated with horses reasons, it was used to carry a model revolver .45 Single Action Army. Suitable for short gun. Sheriff holster for one revolver, Made of leather. Canana light-skinned right-handed for 22 revolver bullets. Also available with bullets. Suitable for short revolver. 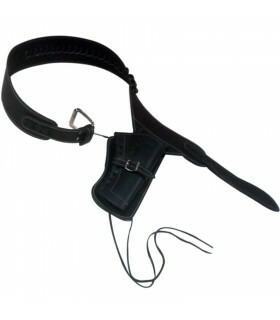 Cartridge belt in black leather with buckle for two revolvers. Also available with 24 bullets. 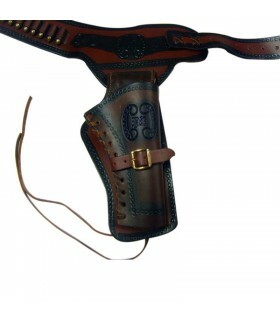 This fine reproduction of western holster decorated with horses reasons, was used to carry two revolvers model 45 Single Action Army. Suitable for short gun. 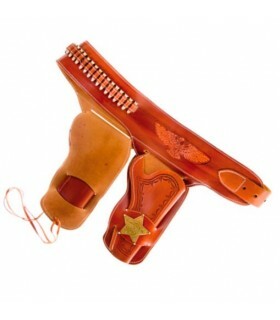 Leather holster for right, for 22 revolver bullets. Also available with bullets. Suitable for short gun. 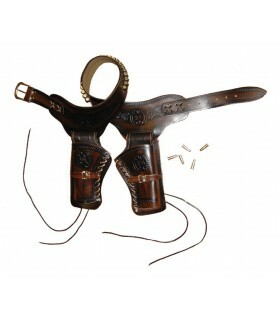 Brown leather cartridge belt for 2 revolvers 24 bullets. Also available with bullets. Suitable for short gun. 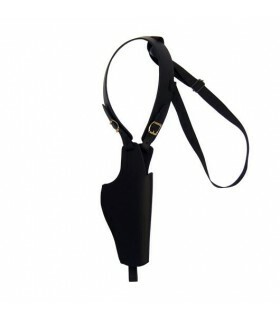 Leather holster Mare's Leg rifle with 15 bullets. Leather bandolier long-barreled revolvers. As shown in the image is left-handed. 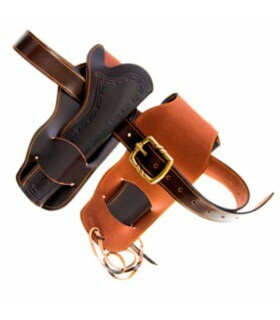 Leather holster for left for a 22 revolver bullets. Also available with bullets. Suitable for short gun. 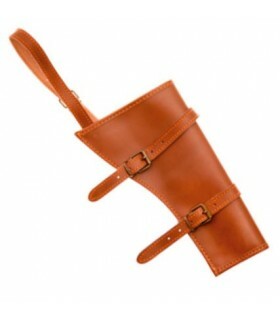 Holster made of leather. 54 cms long. 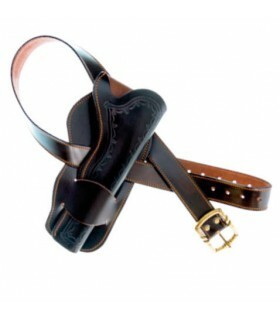 Winchester Rifle cartridge belt to carry on the horse. Made of leather. 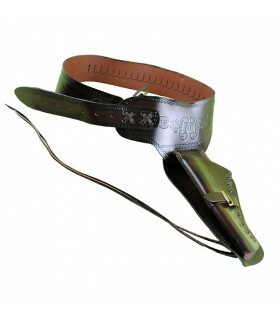 Sheriff cartridge belt for 2 revolvers, Made of leather. 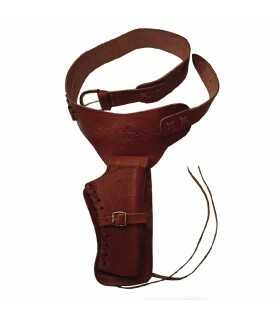 Sheriff holster for one long-barreled revolver, Made of leather. 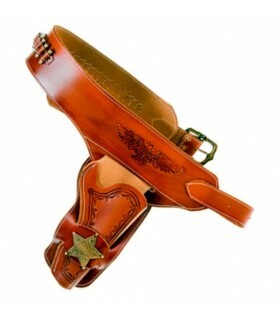 Sheriff holster for 2 long-barreled revolvers, Made of leather.